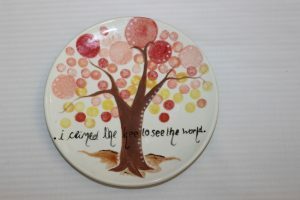 Welcome to Paint Your Own Ceramics with Calli’s Corner. A Creative and fun activity for all ages. After 16 years of specialising in Ceramic and 2D Stone Imprints, 3D Castings, Silver Fingerprint Jewellery and Crystal Glass Imprint Gifts, Calli’s Corner has come full circle, back to our humble beginnings having trained as a Ceramist and both teaching and creating beautifully painted ceramic products that were sold at markets and fairs, we once again introduce ‘Paint Your Own Ceramics’ at our Surrey Studio in Dorking. 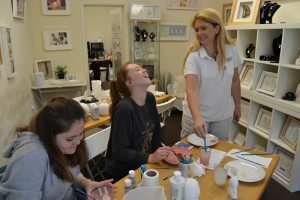 With the success of ‘Paint Your Own Ceramics’ in our Surrey Studio, we are now delighted to have also opened in Ramsgate in Kent. Our Franchisee Faye will be there to welcome you! Painting ceramics is a very relaxing, rewarding and fun thing to do for all the family. Whether you are under 4, at school, a teenager or an adult, this is an activity enjoyed by all ages. Even if you haven’t painted before, don’t worry, we will lend a helping hand and help you find your inspiration. With a great range to choose from and more lines added every month, you can create something really special. Introducing our new ranges of Foam Clay, Glass Fusion (Surrey Studio Only) and Make A Teddy, along with our Clay Workshops, you are ensured of a great time spent at Calli’s Corner. Our Dorking studio is located in South Street in the centre of the gorgeous town of Dorking. Join us for a drop in session, book a party or come as a group, and spend some quality time with loved ones and friends. 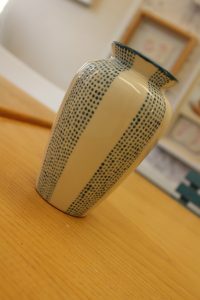 Join Faye at our Ramsgate Studio where she will help you create some wonderful pieces.